From beaches, landmarks, wineries, and wildlife; California’s Central Coast offers an array of exciting attractions and activities to experience. Ideally located along Highway 1, in between San Luis Obispo and Monterey, Sands by the Sea is the ideal pause for travelers exploring the Central Coast. Warm, friendly, and unassuming, the Sands by the Sea offers travelers a place to rest and relax. Ideally located along the Pacific Coast Highway, just minutes from Hearst Castle and Cambria, we offer some of the most affordable rooms in the area. Stay in San Simeon, just steps away from the ocean, on a scenic seaside bluff in cozy rooms with home-like comforts like free WiFi, a mini-fridge, microwave, and flat screen TV with premium channels. Indulge in a delicious breakfast, lunch, or dinner and enjoy beautiful views of the Pacific Ocean at the Cavalier Restaurant, located just steps away. 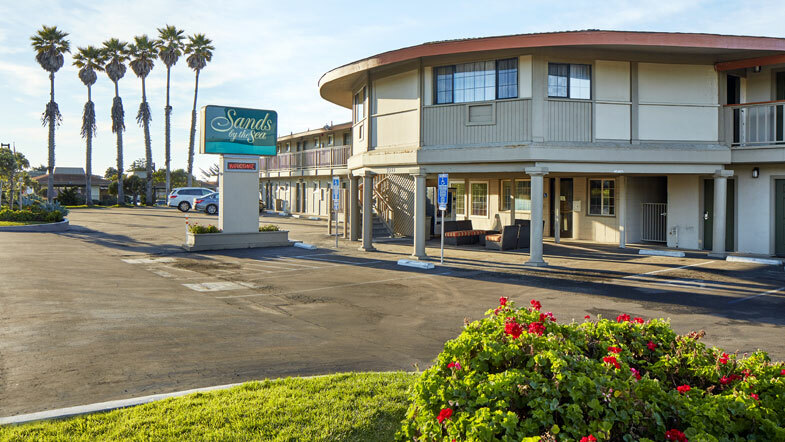 Sands by the Sea is the ideal hub for guests exploring the best sights, beaches, nature trails, and landmarks in California’s Central Coast. Each of our 33 rooms is well-appointed with amenities that travelers love. 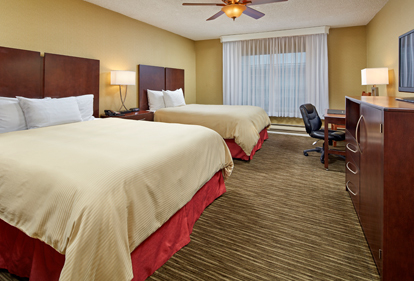 Enjoy cozy accommodations, free WiFi, a flat screen TV with premium channels, mini-refrigerator, and microwave. 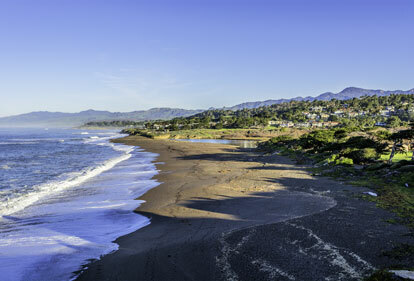 Ideal for families on a road trip or travelers enjoying a vacation in San Simeon we offer one king or two queen beds and stay just minutes from Hearst Castle and walking distance to the beach. 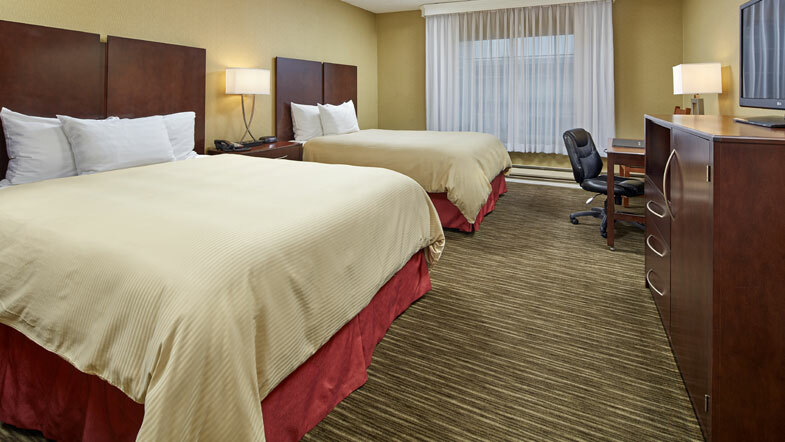 Plus, we offer connecting rooms for families or friends traveling together. Save on your Hearst Castle vacation by staying at the Sands by the Sea. Start your day in the Central Coast with a traditional hearty breakfast at Cavalier Restaurant. 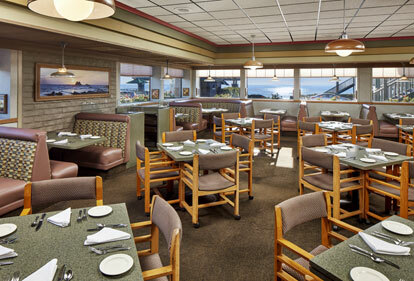 Open for breakfast, lunch, and dinner; the Cavalier Restaurant features panoramic views of the Pacific Ocean, a casual ambiance, reasonable prices, and a selection of traditional American favorites. The whole family will love indulging in Hearst Ranch Beef and locally caught seafood. Unwind after a long day with a glass of wine, pint of beer, or cocktail at the bar inside the Cavalier Restaurant. 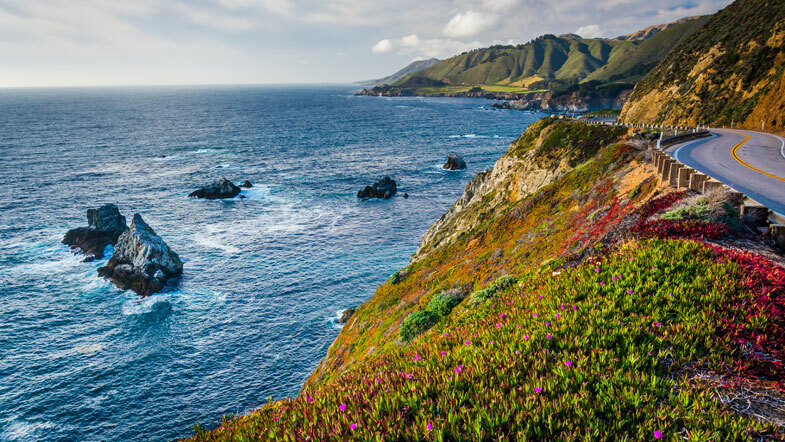 From the iconic historic of Hearst Castle to the stunning scenic beauty of the nearby beaches, California’s Central Coast offers something for everyone. See the elephant seals up close and personal in their natural habitat at the Elephant Seal Rookery, explore the miles and miles of scenic hiking trails, wander around the quaint community of Cambria, or go wine tasting along the Pacific Coast Wine Trail. Of course, you won’t have to go far to enjoy gorgeous views because Sands by the Sea is perfectly situated atop a seaside bluff overlooking the Pacific Ocean.